Today, 37 women educators, and 7 heads of school gathered to engage in discussion about women in leadership positions at independent schools. It is an energized group from across the country, excited to dig into why and how women can be leaders in education in the 21st century. On average, women in education leadership positions make $30,000 – $40,000 less than their male counterparts. 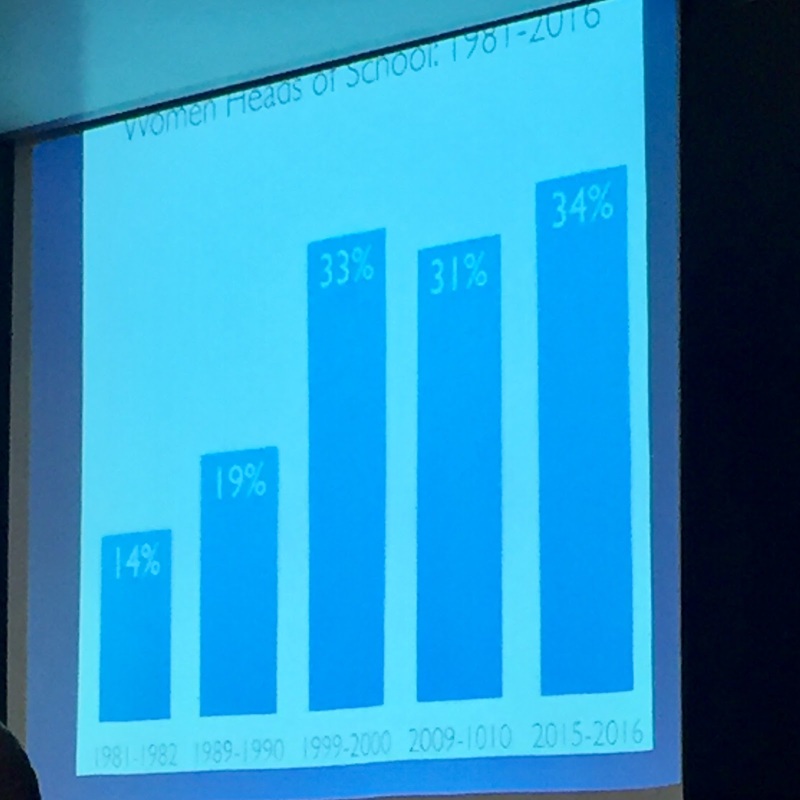 In the 2015-16 school year, only 34% of independent school Heads were women. Coming from Park, where we have Cynthia, Alice, Shiva, and Kimberly in leadership roles, it is difficult to hear these nationwide statistics. 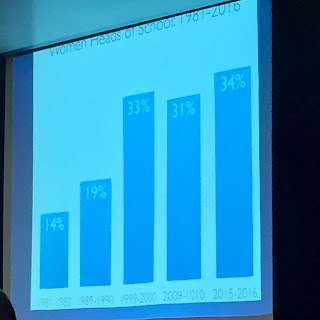 Carolyn’s presentation provided a great opportunity to discuss “why” so few women are in leadership positions in independent schools. I’m looking forward to tomorrow’s conversations about how we can instill change for ourselves, our school’s leadership teams, and our students.